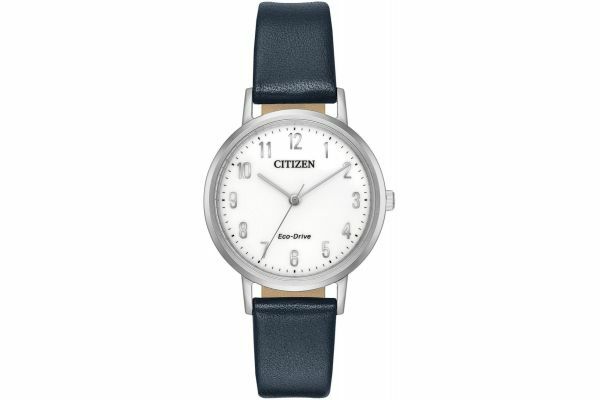 Brought to you by renowned watchmakers Citizen comes this stunning womens watch. Featuring a delicate 30mm round stainless steel case in which houses a crisp white dial with contrasting black arabic numerals. This beautiful watch is set upon a deep navy leather strap and fastens with a stainless steel buckle. Powered by Citizens Eco-Drive (Solar Power), the Chandler watch will not require a battery change and protected by mineral glass. This elegant womens watch is water resistant up to 50 meters.